When you think of gardening, images usually spring to mind of the great outdoors and crops, large garden beds, and thriving trees reaching as far as the eye can see. However, the urban gardening trend is changing the way we’re set to think about this wonderful hobby and bringing it to a much smaller scale. 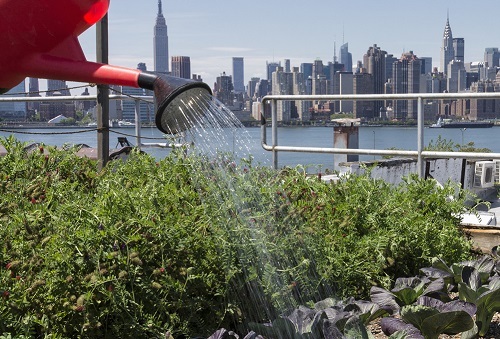 Urban gardening refers to the process of growing or cultivating plants in an urban setting such as an apartment, rooftop, or vacant lot, and it’s quickly becoming a trend that many have jumped on board with. 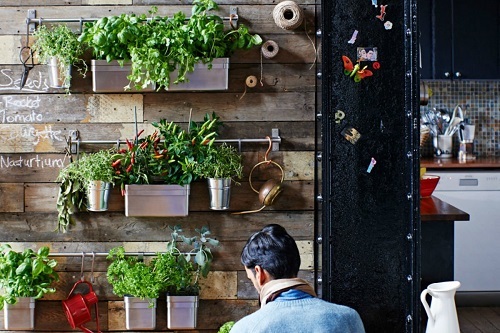 So, what is it about urban gardening that makes it such a hugely popular thing? In the past, it was believed that to live in an urban area like a bustling city means you had to go without the wonder of nature. The only trees you ever saw were those randomly planted around the streets and you had no hope of fresh access to a herb garden from your apartment. However, with some changes in the way we garden and new possibilities for what grows in these urban settings, it’s now easier than ever to get some fresh and leafy goodness in your life. There are many different types of urban gardens out there and the practice might also be referred to as urban agriculture or urban farming, but the end result is all the same. Thanks to this trend, we’re seeing new life popping up all over the city and in places where we never thought possible, letting those in urban areas experience the wonder of gardening for themselves. If you look around any city, you might be surprised to find the many types of urban gardens that grow there. Although there are different kinds, the main point is to take sustainability and freshness into their own hands so that they can enjoy the best quality fruits, vegetables and foods for themselves and grow them in their own urban setting. Because there’s a lack of soil and ground in urban areas, you might prefer to keep plants and flowers in their containers where they have access to quality soil. This uses freestanding structures to give your plants a little more space, and in urban gardening, it’s common to find them in vacant lots, on rooftops, and even on some patios and balconies. 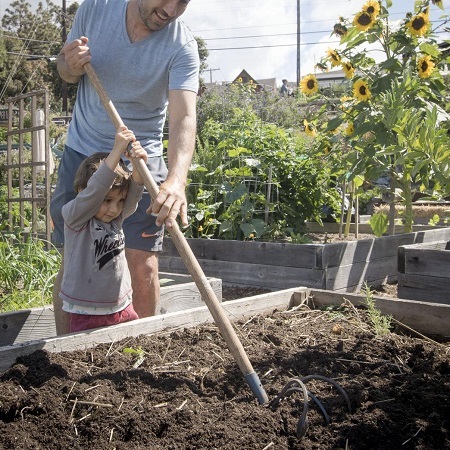 Most major cities have at least a few community gardens going at any given time, and these encourage everyday citizens to work together to create and maintain a garden. They can grow herbs, flowers, fruit, and vegetables, giving people a chance to enjoy the results of their labor. When you have no space outside to call your own, that doesn’t mean you can’t enjoy fresh plants inside. Indoor gardening is possible with varieties of plants and flowers that require little to no sunlight and still allow you to tend to them to see results. If you’re lucky enough to have access to some water nearby in your urban areas, such as a man-made pond or even a large bowl, you can easily grow some water-loving plants in here. If you’re completely new to the urban gardening trend but excited to jump on board, we’re here to help with some urban gardening ideas. Here are a few tips you can use to get your own urban garden growing so that you can enjoy all of the benefits that gardening can bring. Most plants will be better suited to different climates and locations, so do your research before you start growing. Understand how they perform in colder months, how much water they need, and whether they can be kept in minimal light. You might be tempted to use any old soil, but if you’re going to make an effective urban garden your plants have to be given the best possible chance. Run soil tests to see how healthy it is, and consider using fertilizers if needed. Try not to crowd your plants otherwise, they might find it hard to grow. This may seem counterintuitive in urban gardening given than you’re working with limited space, but it’s essential to the success of your garden. Take a look around and see where you have room to grow plants, and then plan around it. Some people might hang them whereas others can keep containers on a windowsill or balcony. It’s all about using the space that you have and turning it into a garden. Before you can get started growing your garden, you need to have a few key supplies that will make it easier to do. 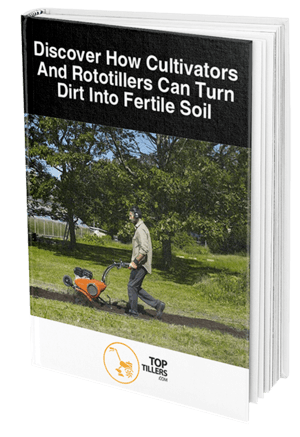 A tiller is one of the most effective tools, and when you’re growing an urban garden, having a small, handheld device like this will do wonders for your garden. This can help to weed garden beds, prepare them for new seeds, and even mix in your fertilizer, so it’s not one that should be looked over. The US Department of Agriculture has also jumped on board with the urban agriculture trend, now spending more of their efforts and energy on urban farmers. With even more focus on this amazing agricultural trend, there’s no doubt that we’ll learn more about how to effectively grow in these urban settings. 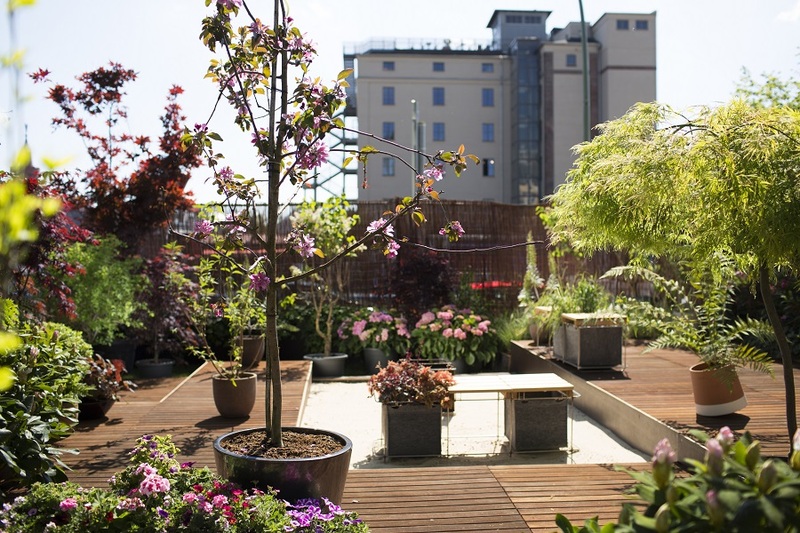 Growing your own urban garden can be extremely satisfying, particularly if you never thought it would be possible to do in a city landscape. There are so many benefits to be found from gardening, and now that you can enjoy them anywhere there should be nothing stopping you.